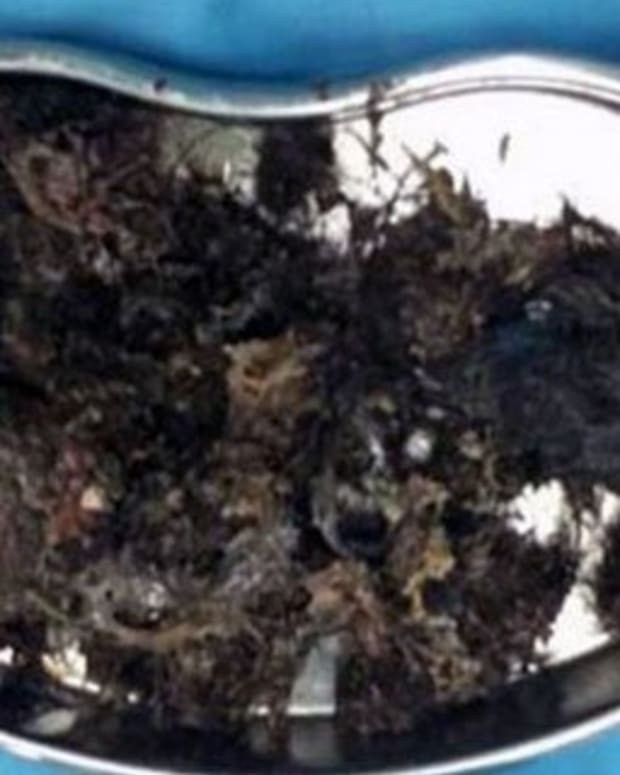 After complaints of severe stomachache and inability to eat or drink, doctors discovered a large hairball in the digestive tract of an 11-year-old girl. 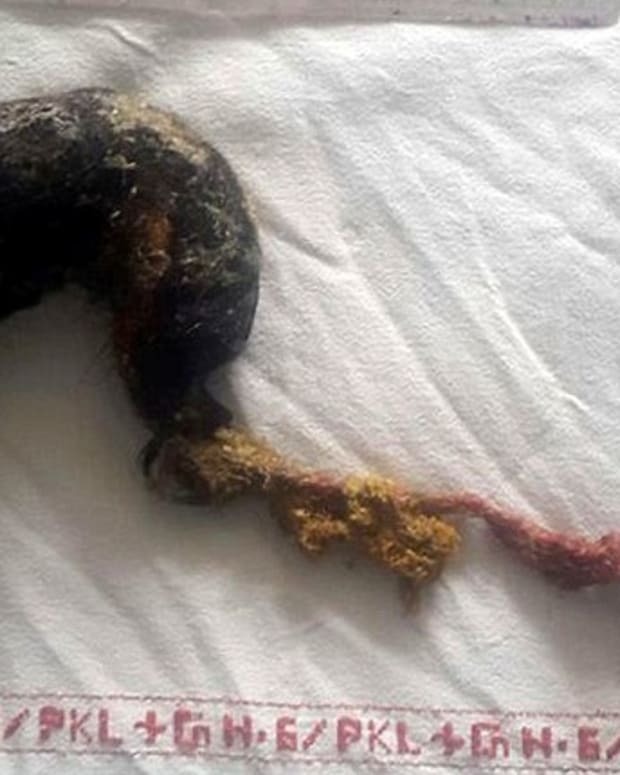 At a hospital in Taraz, in the Jambyl region of southern Kazakhstan, a young girl was found to a have a giant hairball in her stomach weighing more than 2 pounds. 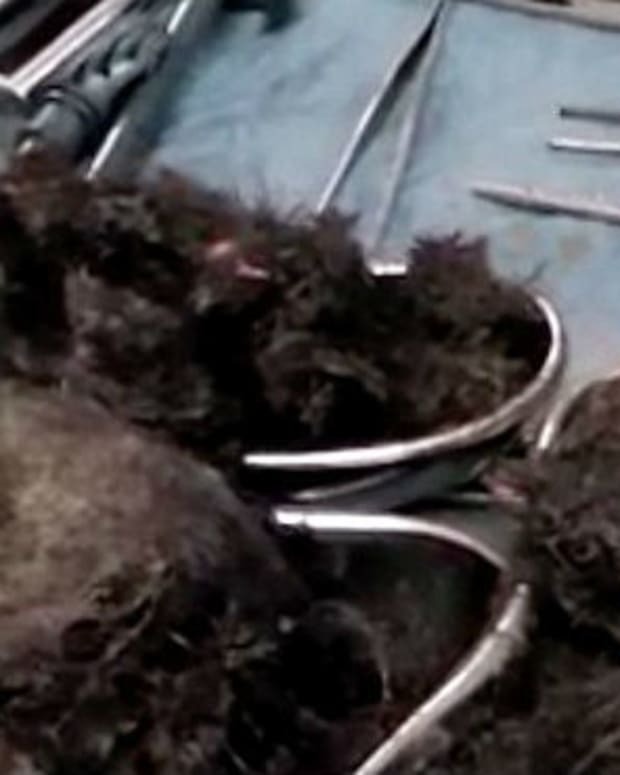 According to the Daily Mail, over 6.7 inches of the hair filled her stomach and 13.8 inches protruded into her bowel. The 11-year-old, who wasn&apos;t named, was admitted to hospital complaining of severe stomach pains and an inability to swallow even water. Although her parents admitted to seeing their daughter chew her long hair, they did not know such a habit was unhealthy. They also reportedly did not realize that she had been swallowing her hair. 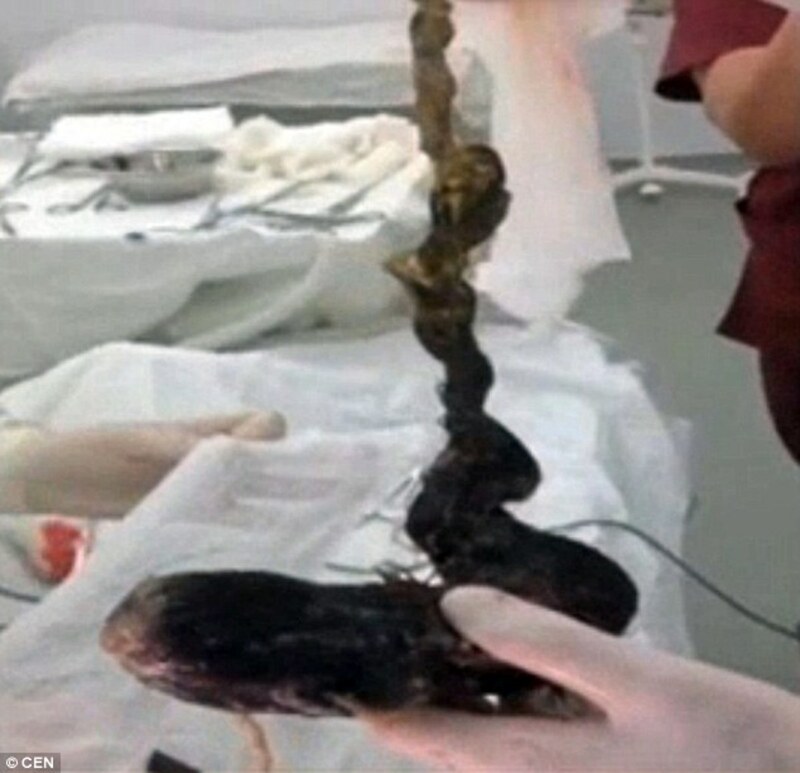 The child was diagnosed with tricophagia, also called Rapunzel syndrome, a rare condition in which a clump of hair, known as a trichobezar, becomes trapped in the digestive tract. Fewer than 120 cases have been reported, and this syndrome predominantly affects young women. According to the Clinical Medicine and Research Journal, most masses of hair stem from swallowed hair from their own heads, brushes or dolls. When hair is eaten, it does not move through the stomach or bowels. Over time, the mass accumulates with food and other substances to form an enlarged hairball. This can block the digestive system, cause ulcers, and lead to pancreatitis and jaundice. In serious cases, surgery is needed to remove the obstruction. 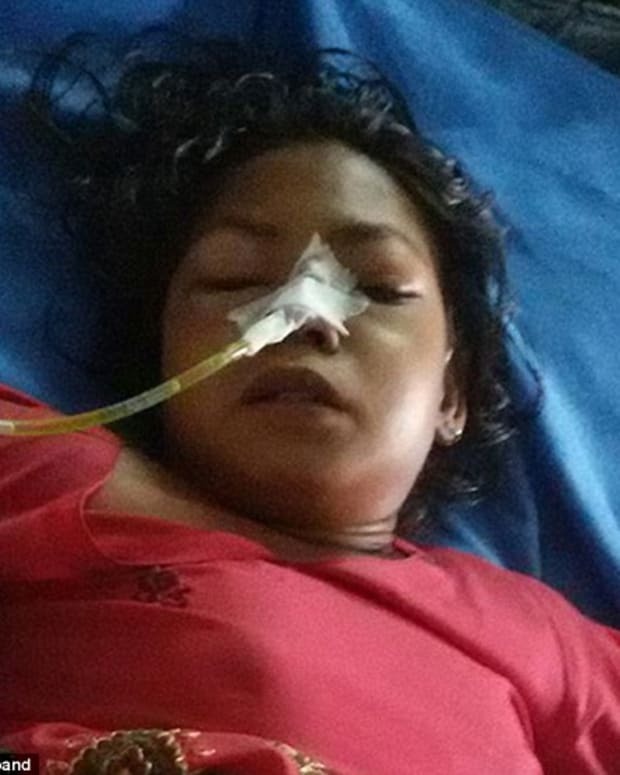 Doctors say the girl will be able to eat and drink normally again. 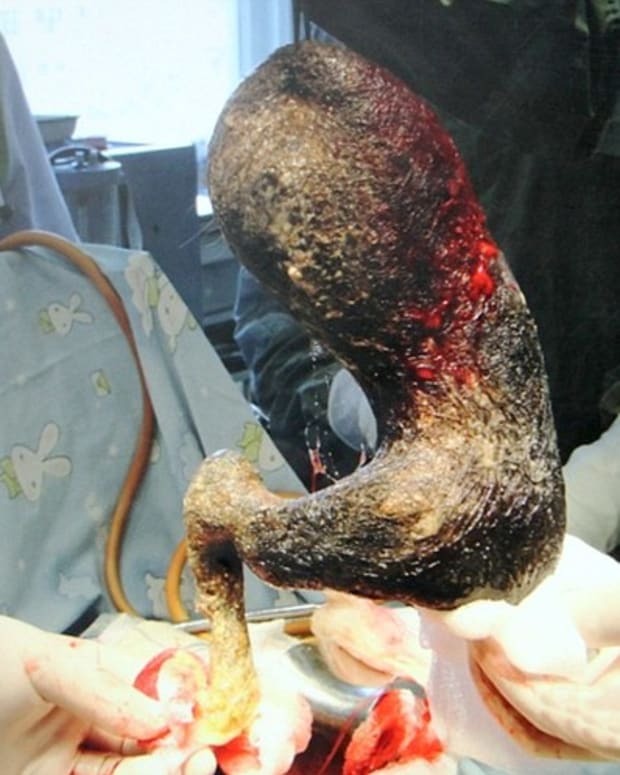 In August 2015, Shishi, a 7-year-old girl from China had a large, solidified lump of hair surgically removed from her digestive tract. According to the Mirror, the child suffers from pica, an eating disorder in which people eat items with no nutritional value, such as hair, fingernails, ice or paper. 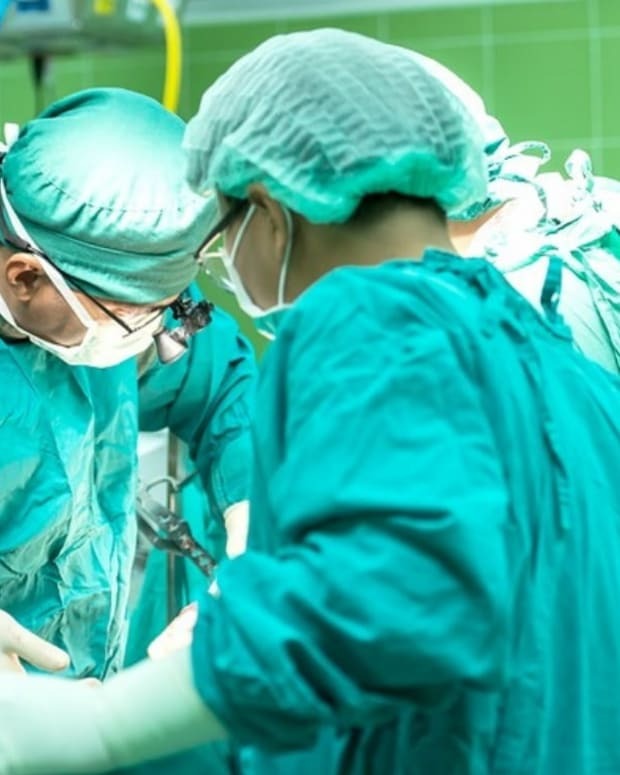 After complaining of a stomachache, doctors at Shenzhen Children’s Hospital found a large, black mass through an endoscopy. 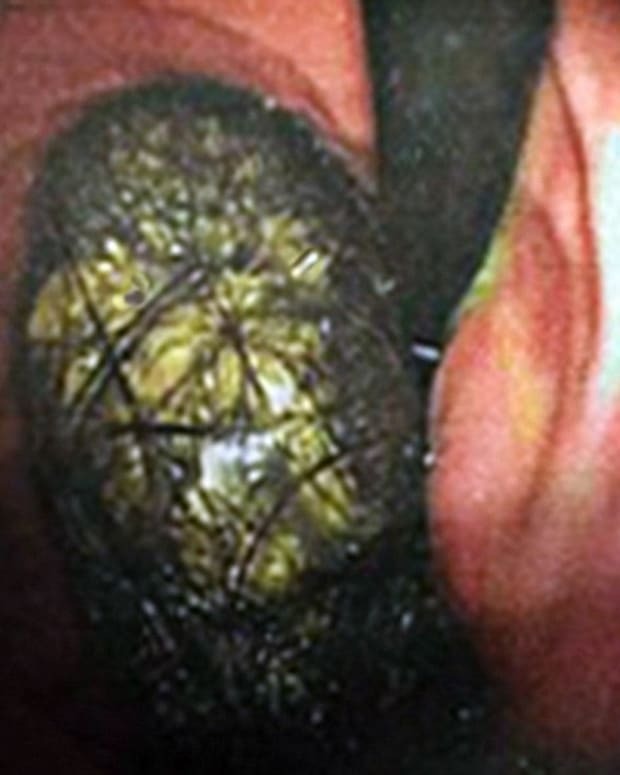 The hairball was successfully removed during surgery and the child is recovering.